ROCHESTER, N.Y. – A tragic Seneca County truck crash is under investigation after one person was killed and two others were hospitalized. The Seneca County Sheriff’s Office said the truck accident happened on West River Road near Knauss Road. According to NYup.com, a 1994 GMC big rig was pulling out of a bean field onto West River Road, causing a 2009 Dodge Caliber to crash into it. Floyd Jones, 87, Catherine Olmstead, 55, and Samuel Santiago, 33, were in the Dodge as the crash occurred, NYup.com reported. The driver, Floyd Jones, and backseat passenger, Samuel Santiago, were both taken to Strong Memorial Hospital in Rochester to be treated for their injuries. Tragically, Catherine Olmstead was killed on impact. Floyd Jones, Catherine Olmstead and Samuel Santiago all resided in Seneca Falls. A Rochester truck accident lawyer said there are many factors that need to be analyzed in every truck crash and a legal investigation should be conducted to make sure every piece of evidence is collected. Victims of truck crashes can often receive significant compensation for their injuries but when a person is killed by a negligent truck driver, their families often need knowledgeable and persistent representation to help them get the best result possible. BUFFALO, N.Y. – A major change goes into effect on November 6th that will impact almost every American: Daylight Savings Time ends. Overnight, clocks will turn back an hour. It’s the only day in the year in which 1 a.m. happens twice. Few people will likely wake up at exactly 2:00 a.m. to turn the clocks back but almost everyone will feel the effects of it. You might get an extra hour of sleep but the small time change can affect the way your body operates, new research has found. Much of the concern surrounds the start of Daylight Savings Time, which happens in March, but a Buffalo car accident lawyer at Cellino & Barnes says there’s evidence to suggest that ‘falling back’ an hour also has negative consequences. A telematics-based car insurer, Insure the Box, found that car crashes in November actually spike 30 percent between 5pm and 8pm when compared to the same times in October. Overall, researchers said drivers face a 10 percent increase in risk following the fall clock change. This is some of the first data released on accidents associated with the end of Daylight Savings Time. After analyzing 3 years of crash statistics, researchers concluded that “there is no doubt” accidents happen as a direct result of the clocks going back an hour. Buffalo car accident lawyers at Cellino & Barnes say drivers should be aware of their fatigue and road conditions following the time change. Researchers found the darker roadways play a major factor in the increased number of car accidents. Statistics have shown that nearly half of all car crashes occur at night time, despite drastically-reduced volumes in traffic. Falling back an hour poses a particular danger: more traffic in darker hours. “The evening rush hour can still have the same number of vehicles on the highways; the biggest difference is the amount of daylight,” Barnes said. Turn on your headlights. 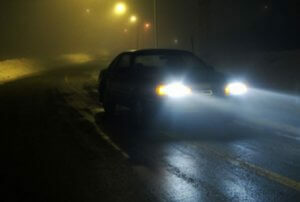 Some drivers may not be used to this habit but it can increase your visibility and reduce the risk of a crash. Know where you’re going. A significant number of crashes are caused by drivers who don’t know what turns to take. As the evenings get darker, those daily turns can be hidden. Slow down. Speeding is a factor in roughly 30 percent of all car crashes. When visibility is reduced, speeding can be downright deadly. Drive at a speed that is safe enough to see sudden hazards, like animals, in front of you. Take a break. Driving in the dark can naturally make us tired. When a driver is tired, their reaction time, concentration and alertness can all take a dip. Particularly on long drives, take a break – and take them often. GARDEN CITY, N.Y. – As National Teen Driver Safety Week (Oct. 16-22) comes to a close, a new report claims much progress has been made in reducing the number of teen driver-involved crashes over the last 10 years. In fact, between 2005 and 2014, there was 56% decline in the number of fatal crashes involving the youngest drivers on the road. According to the Governors Highway Safety Association’s newest statistical analysis, the drop is attributed to the Graduated Driver Licensing system that is now in place in all 50 states. Although the numbers have improved, the GHSA reports teens are still 1.6 times more likely to get in a crash than adults. Even worse, fatal crashes spiked 10 percent last year when a teenager was at the wheel of one of the vehicles. A Long Island car accident lawyer at Cellino & Barnes said the data shows that teens need more guidance before taking the wheel. The three-stage Graduated Driver Licensing system has been proven to reduce a teen’s crash risk by up to 30 percent but, in almost every state, drivers over 18 aren’t required to partake in the program. The GHSA says one in three teens don’t have their license by 18. That means that once they obtain a driver’s license, they aren’t necessarily safer drivers by age alone. The GHSA’s report calls for an expansion of GDL to include all drivers under 21 years of age. 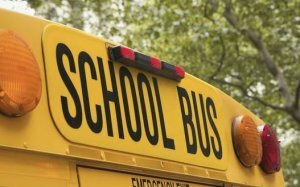 Long Island car accident attorneys say there are other techniques that can help teen drivers be safe on the road – but too many parents are taking a “hands-off” approach when it comes to their child’s learning-to-drive process. Around 79 percent of adult drivers admitted to talking on a cell phone or texting while driving – a habit almost everyone knows is unsafe, and in most cases, illegal. Recent polls suggest teens often mimic their parents’ driving habits, even if the habits are considered “bad” or “unsafe.” Safety advocates agree that parents can play a major role in improving safety for teens that have less than four years of driving experience. However, experience remains the quality teen drivers lack most and as a result, they are more likely to cause a crash. With multiple offices across New York, a Long Island car accident attorney can help crash victims get the best results possible. If you or your teenager has been injured in a car crash, our experienced attorneys will conduct a complete and thorough investigation to help maximize your compensation. Call or contact us today for a free consultation. 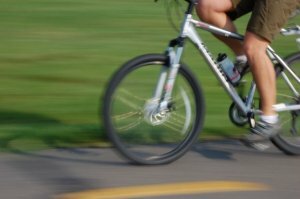 inde NEW YORK – A tractor-trailer cruising through downtown Brooklyn mowed over a bicyclist Tuesday morning. Brian Ricci, 35, of Boerum Hill was the bicyclist struck. According to the Daily News report, Brian Ricci suffered severe head trauma and was rushed to New York Methodist Hospital in critical condition. The New York Daily News reports the truck, which is owned by Mountain Man Sand & Gravel in Huntingon, L.I., was making a right-hand turn onto Tillary Street from Jay Street when the crash occurred. Ricci wasn’t the first person to get hurt at this dangerous intersection. According to city crash data, three other bicyclists have suffered injuries in crashes at the corner of Tillary Street and Jay Street. A Brooklyn truck accident lawyer says truck drivers have a responsibility to operate their tractor-trailers safely but there are many more factors that should be examined – including safety concerns with the roadway itself. A thorough legal investigation will into a driver’s record and rest log. The number of hours truck drivers can be on the road has a limit – and for good reason: every year, thousands of people are injured in truck crashes that can be linked to driver fatigue. Several other cyclists have been injured in crashes near Jay Street and Tillary Street. A successful claim could spur changes to improve safety for other cyclists in the downtown Brooklyn area. Since Brian Ricci’s accident, the New York community has come together to support him and his family; including his husband Frank and their son, Rocco. Family and friends set-up a fundraiser to help Frank and Brian Ricci afford the expenses associated with such a tragic crash. A Brooklyn truck accident lawyer says there are many expenses associated with a truck or bike crash. 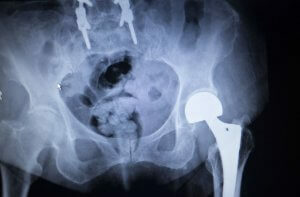 Since the injuries are often severe, medical costs can pile-up. On top of the hospital bills, families still have to cover their day-to-day expenses, lost income, child care, pet care, additional transportation, and temporary lodging. These costs can add-up quickly. However, an experienced Brooklyn truck accident lawyer can help families cover these expenses in addition to getting compensation for a victim’s pain and suffering. Although neighbors and witnesses were quick to blame the incident on “rampant development” in downtown Brooklyn, police told Daily News reporters that the crash involving Brian Ricci is still under investigation. If you or a loved one have been injured in an accident, contact a Cellino & Barnes Brooklyn injury attorney at (800) 888-8888. NEW YORK – If you’ve ever driven on Hylan Boulevard, you know just how dangerous Staten Island’s traffic can be. In fact, many of the most dangerous accidents occur along this risky stretch of roadway. There were more than 560 car crashes at Staten Island intersections during the month of August alone, according to NYPD car crash statistics. More than 130 people were injured in these August crashes and many safety advocates say they could be prevented with better street infrastructure. A New York car accident lawyer at Cellino & Barnes says there’s a higher vehicle ownership on Staten Island, which can make the major roadways more dangerous – but the infrastructure design can also be a dangerous factor. Of the 130 people injured in August car crashes, nearly 20-percent were pedestrians or bicyclists. 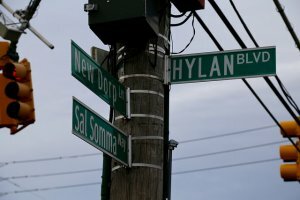 Since 2014, the intersections along Hylan Boulevard appear to have become more dangerous. The 14-mile long roadway that stretches across the borough recorded 12 traffic deaths over the two-year period. Nine of those fatalities occurred in just the last 12 months safety advocacy group, Transportation Alternatives, writes. New York car accident lawyers say commercial traffic has also played a major role in making Hylan Boulevard a risky road for drivers, bicyclists and pedestrians. A recent analysis of Staten Island intersections found that six out of the ten most dangerous street corners crossed Hylan Boulevard. Transportation Alternatives reports there have been over 180 injuries or fatalities along Hylan Boulevard over the last four years. 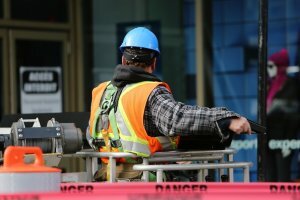 NEW YORK – If you’ve ever been injured on the job, you’re not alone. Every year, around 3 million workers suffer injuries or illnesses while on the clock and the costs associated with those injuries can be staggering. According to the U.S. Bureau of Labor Statistics, injuries occurred at a rate of 3.2 cases per 100 full-time workers. These accidents racked-up to around $1 billion in associated costs… per week. That’s over $50 billion each year that employers spend on injured workers. A Brooklyn construction accident lawyer at Cellino & Barnes says that amount is astounding when compared to the amount employers spend on preventing accidents. A recent U.C. Davis study found that when indirect costs such as loss of productivity, overtime paid to other workers and lower worker morale were factored-in, it brought the price tag associated with construction injuries to nearly $250 billion per year. The hidden costs could be even more severe to the injured worker. 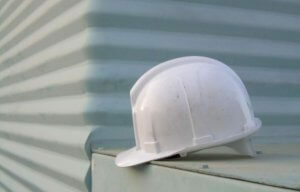 Brooklyn construction accident lawyers say workers often suffer the most when they’re injured on the job. Workers want to feel safe. But many construction employers have assumed that injuries are part of the job – and their insurers are prepared to pay as little as possible. However, many industry researchers agree: improved safety is the best option for everyone. Studies of workplace safety programs from around the nation have shown a better return on investment (and a better safety track record). Unfortunately, those safety programs are often turned away and as a result, more workers could suffer severe injuries or even death. The Brooklyn construction accident lawyers at Cellino & Barnes have been fighting for injured workers for over 50 years. Although some workers opt to handle a claim themselves, Cellino & Barnes have helped many construction accident victims get the best results possible. If you’ve been injured in a Brooklyn construction accident, call the attorneys at Cellino & Barnes for a free consultation. ROCHESTER, N.Y. – Teens are not only the youngest drivers on the road: they’re also some of the most dangerous and new government data has revealed the number of deadly car crashes involving a teen driver spiked last year. Since 2010, teens have been involved in around 14,000 deadly car crashes and according to a new AAA study, speeding was the main factor in a large portion of those crashes. A Rochester car accident lawyer at Cellino & Barnes says speeding is considered one of the top three mistakes teens make when they’re learning to drive. Driving instructors from across the country noted that a teen’s inexperience behind the wheel can lead to poor visual scanning or ‘tunnel vision.’ A spokesperson with AAA said it’s important for parents to understand these common mistakes and help teenage drivers learn how to drive safely. Unfortunately, over 60 percent of the driving instructors polled said parents today aren’t doing enough to prepare their children to drive compared to parents ten years ago. In many cases, parents can even be a bad example on their children. Recent polls have suggested that nearly 80 percent of adult drivers between the ages of 35 and 55 have admitted to talking on a cell phone while driving. Only 67 percent of teens made the same confession. AAA noted that parents play a pivotal role in keeping the roads safe from dangerous teen drivers because most children learn from watching and mimicking driving behaviors – the good and the bad. The Rochester car accident lawyers at Cellino & Barnes are also urging parents to lead by example. Distractions are now a factor in more than half of all car crashes and it’s estimated that thousands of accidents could be prevented if drivers, both young and old, put the phone down. Cellino & Barnes is a proud supporter of road safety in Western and Central New York and a strong advocate for victims of car crashes and other personal injury accidents. BUFFALO, N.Y. – We all would like to be able to predict the future. If we could predict construction accidents, we could have fewer of them; but that’s not the reality we live and work in. So far, no one has been able to see into the future but technology could help. Thousands of workers are injured every year after accidents in mining, construction, trucking, manufacturing, and other industries. Many of those accidents can be linked to worker fatigue. In an effort to monitor fatigue and improve safety across many industries, Caterpillar Safety Services created a ‘smartband’ that assesses a worker’s risk at any given moment. Much like the popular Fitbit, the smartband uses sensors and other data to determine when a worker is suffering from a lack of sleep or fatigue. Cat has already been using the devices at mining sites for two years but Buffalo construction accident lawyers say almost every industry could use technology to improve safety records. At any time, an employee can push a button on the smartband to view their measured fatigue. If their fatigue score reaches near 70%, the worker could be considered fatigue-impaired and they run a higher risk of an accident. Studies have shown that technology like the wearable smartband can at least make workers – and employers – aware of fatigue on a construction site. In some cases, workers discovered they had underlying health conditions, such as sleep apnea. Studies involving fatigue-monitoring equipment have also examined shift work. Buffalo construction accident lawyers said safety should always be the top priority in a work zone but many times, workers are asked to put in loads of overtime or they aren’t provided with enough training – both of which increase their risk of an accident. When an employer’s negligence or lack of oversight causes an accident on a jobsite, workers could be entitled to significant compensation. The Buffalo construction accident lawyers at Cellino & Barnes have years of experience handling these cases and they could help an injured worker get the best result possible. For more safety tips and information about Cellino & Barnes, Like them on Facebook.